"I should definitely gamify my event!" You've probably had this thought if you've read a lot of articles about the benefits of gamification. What else if not gamification can help you increase attendee engagement and provide an enjoyable event experience? After all, the majority of good event software and apps include gamification as a main module in their service offer; therefore, you have to try it. Not so fast. Let's take a step back and check if gamification is really necessary for your next event. According to Sebastian Deterding of the University of York Digital Creativity Labs, "Gameful design or gamification refers to the design of hardware and software in non-game contexts using." In other words, gamification refers to the use of game mechanics and elements in serious contexts such as educational and work environments, marketing, etc. One of the biggest promises of gamification, as Brian Burke highlights, is that it "creates entirely new engagement models, targeting new communities of people and motivating them to achieve goals they may not even know they have." Burke notes that one can engage and motivate people across all kinds of activities by using game mechanics and elements (such as badges, points, levels, and leaderboards). However, as Elizabeth Lawley, Ph.D., of the Rochester Institute of Technology, explains, "Games can be powerful experiences, leveraging both motivation and engagement. The recent trend toward ‘gamifying’ applications, however, often reduces the complexity of a well-designed and balanced game to its simplest components, such as badges, levels, points, and leaderboards. The resulting implementations don't just fail to engage players; they can actually damage existing interest or engagement with the service or product." Considering this, gamification may not always be your best option. To understand better this assertion, here are some of the reasons against gamifying events to take into account before overwhelming your attendees with badges, levels, or points. No matter how much data you've acquired about your guests, you can’t be 100% sure how they will react when dealing with a gamified system or environment. Not everybody enjoys games, so why force people to participate in them? In addition, not all events are easy (or appropriate) to gamify. People may come to your event to engage in serious B2B meetings, for example, and want to focus on finding new prospects or benefits for their businesses. They don’t want to 'complete levels' or 'gain points' for how they behave. No doubt, it's trendy to gamify events. Yet, you shouldn't use gamification just for the sake of using it. It has to solve a problem or help improve some aspect of your event. It's the same thing with event technology. You don’t apply it only because other event planners are doing it - you use it to outsource your logistic problems, automatize processes, and save time. In other words, the big question is why, precisely, do you want to gamify your event? If you can’t think of a valid reason related to improving your events, then you probably shouldn't use it. As Dr. Lawley notes, "It's not that gamification can't work. But to be successful, it must include game design, not just game components. Games are not a replacement for thoughtful experience and interaction design; they are an alternate lens for framing that process." So think about that app you're using to gamify your event. Is this platform providing you with a real gamified context or just giving your attendees points for accomplishing some tasks, which not only portrays gamification in a poor light, but could also create a competitive (and potentially hostile) vibe between your guests? Is your intention to generate this type of experience? Your attendees already have enough distractions at their fingertips, scrolling through the newsfeeds on their phones, checking their social media, their attention always somewhere else than on the speakers or presentations. Do you want to add to that by “engaging” your guests via gamification? Sometimes you need to help your attendees focus their senses and be present in the room, not wandering around in the digital space. Reason #5. Gamification can't fix disengagement or boredom. If your number one reason to gamify your event is to engage your attendees, forget about it. This won't happen, especially if you don’t already have an efficient, interactive environment. Gamified apps aren't designed to encourage your guests to engage more or alleviate boredom. You are responsible for engaging your guests, so only use gamification to enhance the interaction experience. 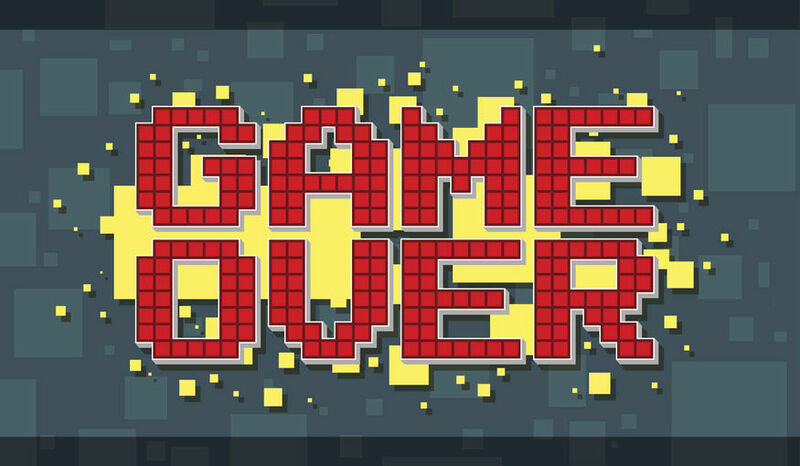 Contrary to popular belief, gamification is not a solve-it-all option. So instead of mindlessly gamifying your event, thinking you've found a panacea for your troubles, focus on leveraging the real potential of this tool. Gamification provides powerful mechanics, elements, and environments. However, if you don't know how, why, and when to use it, you may inadvertently damage your event and give your attendees a negative experience.